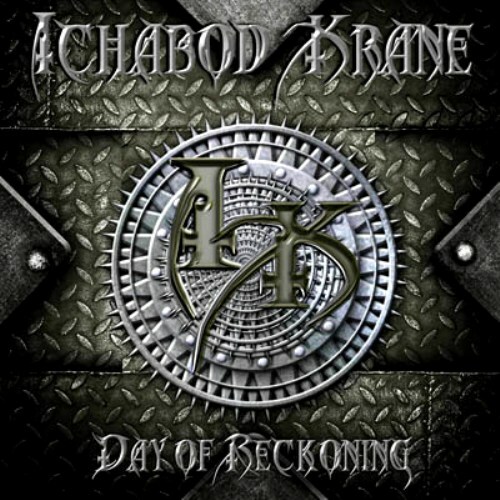 Ichabod Krane are a new project put together by drummer Tom Wassman (ex Sleepy Hollow), bassist and co-founder of Halloween George Neal, guitarist Rick Graig (also ex Halloween) and vocalist Jeff Schlinz (Wulfhook) and 'Day Of Reckoning' is their debut album. Based in Detroit, they play US Traditional Metal with a hint of Power Metal thrown in for good measure and on the whole this is a pretty good album of that particular style. When I first listened I was actually quite impressed with the crunching riffs, bass and drums. You'll notice one vital emission there and subsequent listens have confirmed, to these ears at the very least, that there is a weak link in the band. Now far be it for me to say that Jeff Schlinz is a bad vocalist, he isn't, but he does have a tendency to over egg the high notes, in fact he's almost constantly in the upper realms of wailing cat mode and he doesn't always hit those notes. Even when he does I end up wincing a bit because he just seems to be constantly straining his voice and it doesn't do him, or the band, any favours at all. He's also pretty one dimensional, singing every track in practically the same way and when the album is completed you have trouble remembering any track over another! If I could try and compare him to somebody I could say James Rivera (Helstar) but he isn't in the same league as James and I know many people have a love/hate relationship with even his style of vocals. Compared in the Press release to Judas Priest and Cage is all well and good, because Ichabod Krane are in that ball park, musically speaking, but you just cannot compare Schlinz to Cage's Sean Peck and you would struggle to put him in the same country as Rob Halford, or Tim Owens for that matter, and this is a shame because the band do have some good ideas. Halloween are a very good band and you can obviously hear some of their influence in the music, but I just cannot tune my ears out of the singing to fully appreciate what's going on underneath. If Schlinz can be persuaded to sing in a slightly lower register, and only use the very high notes when absolutely necessary then I think I could get to enjoy this band a whole lot more. Of course the other option would be to replace him but as the band seem happy with his performance that's not likely to happen. This is obviously a personal preference, you cannot love everything, so I'm sure there are plenty of people out there that will love 'Day Of Reckoning' as Traditional Metal will never go out of style and they certainly deserve a second album. 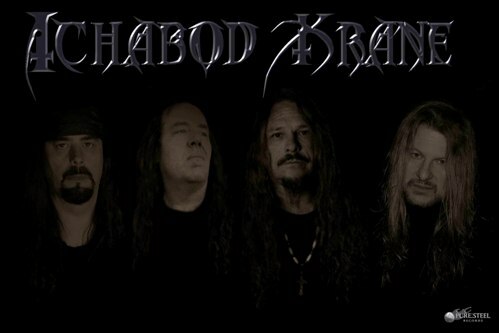 However, for it to really impress me every member of the band has to be singing from the same sheet and in the case of Ichabod Krane, one member is not quite singing the same hymn!